Guangzhou Kayxing Landscaping Engineering Co., Ltd.
Name White Sands Material Natural Granite , Marble Size 20,40,60,80(mesh) Surface Barreling Package 25kg/Bag or big bags Health Environmental protection widely used in public buildings, villas, garden architecture, paved roads, parks, rockery, bonsai filling materials, garden art, and other advanced superstructure. Related Products Packing & Delivery 25kg/50kg/1000kg pp bag,or as per your request Our Company Guangzhou kayxing gardening Engineering Co., Ltd. Our products including various kinds of nature stone such as Granolithic,Pebbles,Rain-flower pebbles, Mount Tai stone, Fugui green, Taihu stone, Melaleuca stone, Chrismatite, Yingde Stone, Cultured stone, Stone carving, Antique culture plates, nursery stock and so on. Qingdao FSK Foundry Materials Co., Ltd.
Lianyungang Dighen Composite Material Technology Co., Ltd.
Luoyang Weixiang Abrasives Co., Ltd.
Lianyungang Guoyi Quartz Products Co., Ltd.
Color sand is mainly from taihang mountain famous granite, marble as raw material, selection, crushing (water treatment) classification, mainly used in building materials, artificial river, leisure square, etc. 4. Applications: It can be used for construction, decoration, candle and children toy etc. 4. color can be according to the need for monochrome, two-color or polychromatic freely allocate, meet the design requirements. 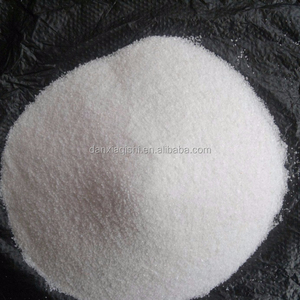 Silica Sand Properties silica sand size: Other requirement of chemical composition and size are available. Please kindly contact us right now if you're looking for a professional manufacture. Silica Sand Company Contacts Click for More Information!!! dye color medium sand/quartz silica fine sand price Product details Name Color sand Technic Natural and artificial sand Color White ,black, red, yellow, blue, grey, green Size 10-20,20-40,40-80,80-120,120-180 meshes Feature Non-toxic, tasteless,corrosion resistant,, non-pollution, anticorrode from acid and alkaline. 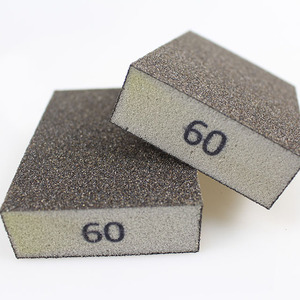 Function Used in construction, embossment, expoy floor and ceramic tile, coating material etc. Material Marble or granite 1. Red series color sand: High quality granite and marble in Taihang Mountain as raw material, the color ismainly china red, peach red, orange red,G red,Jing red, Taihang red,blood red, Furong red 2. White series color sand: mainly snow white color, white jade color, grass jade color etc 3. Green series color sand: mainly germ green color, forever green color, fruit green color, grayish green color etc Main application 1) Painting (Children's art sand painting) 2) Inner and exterior Coating 3) Superficial treatment(Sand blasting) 4) landscaping(horticulture,garden) 5) Decoration(Aquarium,Fish tank,Hourglass) 6) Sand art Packaging& Shipping 25Kg/Woven bag or 25Kg/ Kraft paper bag in 1000Kg Pallet; 1000Kgs Jumbo bag 25Tons/20'FCL Sample Less than 1kg the sample can send to you for free if needed,you only need to pay the express fee For more information, please contact with us. The flows line production approach is employed inproduction equipments to safeguard the product quality and customer values. The main production of metallurgy, building materials, nonferrous metals, petrochemical and general industrial furnace refractory. The company produces tens of thousands of tons of stereotyped and indefinable refractories. Jiangsu LM Mining Co., Ltd.
) 1.0 1.0 2.0 -- -- Fe 2 O 3 (Max. ) 1.0 1.0 2.0 -- -- CaO+MgO (Max. ) 1.0 1.0 2.0 -- -- K 2 O+Na 2 O (Max. Fused silica in comparison to crystalline silica is purer, and has a lower specific gravity and linear coefficient of thermal expansion. 2. Applications: Due to its unique characteristics, fused silica is used in a range of highly specialized industrial applications. These can be broadly divided into three categories: Refractory applications, molded applications, and precision casting applications. Alibaba.com offers 28,714 fine sand products. About 17% of these are silica, 9% are sand, and 1% are iron ore.
A wide variety of fine sand options are available to you, such as silica quartz, silica powder, and silicon metal. You can also choose from silica oxide regular fine -250, silica ultra fine-500, and silica oxide micro fine -400. As well as from glass, refractory, and surface coating. And whether fine sand is 4n, 5n, or 3n. There are 28,192 fine sand suppliers, mainly located in Asia. The top supplying countries are China (Mainland), Egypt, and India, which supply 95%, 1%, and 1% of fine sand respectively. Fine sand products are most popular in South Asia, Northern Europe, and Domestic Market. You can ensure product safety by selecting from certified suppliers, including 8,065 with ISO9001, 4,914 with Other, and 880 with ISO14001 certification.